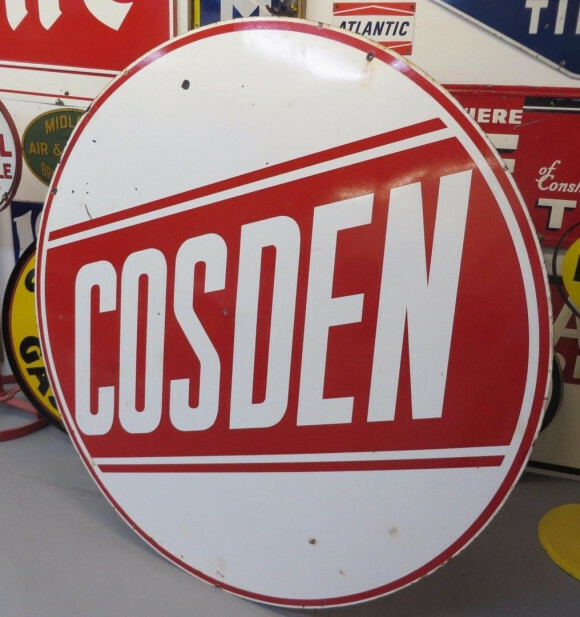 This cosden sign measures 72″ in diameter and has a slightly different design then most of the Cosden signs. Instead of this sign being the standard red and green, this one is red and white. This is a double sided porcelain sign that has two mounting holes on the top side of the sign.